A long-time caregiver at our Merrill Gardens at Tacoma community in Tacoma, WA just celebrated sixteen years of dedicated service to our Merrill Gardens family! Kayla is an exceptional caregiver and has been at Merrill Gardens at Tacoma since the community opened in 2007. 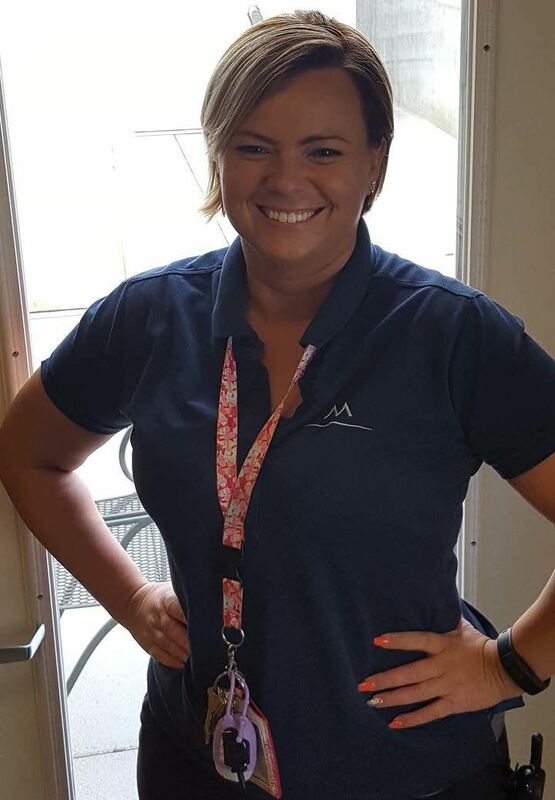 Before transferring to Merrill Gardens at Tacoma, Kayla first started working at another Merrill Gardens community as a waitress when she was just sixteen years-old. She knew she always wanted to be a nurse, so after she graduated high school she took the first step and became a Certified Nursing Assistant. Soon after that, she moved to the Tacoma area and was hired as a caregiver in the Wellness Center at Merrill Gardens at Tacoma. “I have enjoyed working for Merrill Gardens because of my positive co-workers and friendly residents. I have learned a lot from my supervisors and their different nursing styles,” said Kayla. Kayla is currently working towards completing her pre-requisite courses for nursing school and is planning to stay with Merrill Gardens while she continues her education in nursing school. Her future career goal is to become a Registered Nurse. We are so grateful to have such an amazing and loyal team member. Thank you, Kayla!